Make Up Ideas To Shake Up Your Routine! ...Or maybe are looking for a completely new/ different look for everyday wear? Then first you'll find two processes here that you can use to narrow down the makeup ideas that will work on you. This is followed by an ever growing ideas base. For a quick way of finding out what will look good on you, use your celebrity lookalike. There are poor souls being harassed everyday for their photos everywhere they go. So they often have to make sure they look good when leaving the house. We're sorry that they're being harassed. It's bad. But- Don't let all these photos scattered around the web go to waste... You most likely have a lookalike out there, and thats where you can begin gathering inspiration. This is the most reliable way because you can make sure that you go a step further, by using the right type of makeup for your own unique look. 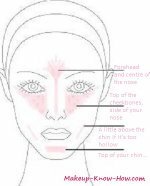 Then you find the right blush, and apply it in a way that flatters your face shape. Move on to your brows, and find out how to shape them for the best results. Then you find out your eye shape, and apply makeup that will enhance it. Still on the eyes, you find out the type of eyeshadow colors that will bring the best out of your eyes. 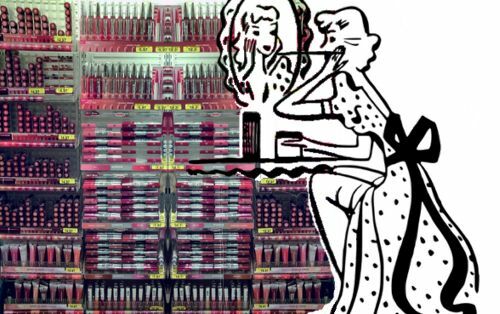 Then, try out different lipstick colors that will look good with your coloring. After you know what looks good on you, it's just a matter of changing the colors you use when you want a different look. You can also check out these eye make up ideas and pinterest for an array of ideas. Visit Makeup-Know-How.com's profile on Pinterest.